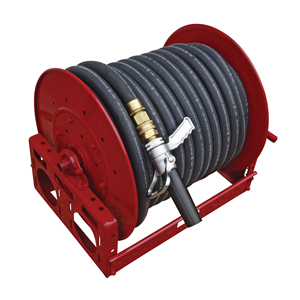 Fire Combat designs, engineers, and manufactures a full line of fire fighting components specifically for installation in custom fire truck setups. The Halotron fire fighting system is an environmentally-acceptable replacement for common truck-mounted Halon 1211 devices. A variety of options are available to give you the enhanced performance you need. Halotron fire protection systems can also be custom-designed to meet your unique requirements. Our CAFS systems use medium expansion foam to rapidly knock down flames and secure the fire area. These compact, fully self-contained firefighting skid units are ideal for field placement or for mounting on standard truck beds. Custom configurations are available. Our dry chemical fire fighting units are available in stationary and mobile configurations, and can be custom-sized to fit any application. 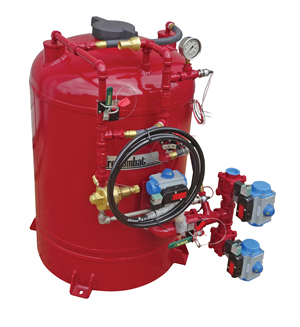 Completely self-contained and compatible with a variety of dry chemical chemistries, these fire protection systems operate independently of possible interruptions to municipal water or electrical supplies. 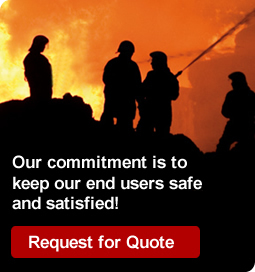 Request a quote on the fire fighting components you need, or contact Fire Combat for more information.